Always a great experience. Everyone is AMAZING! This is coming from someone who’s feared going to the dentist since I was a kid. What a great staff. They are friendly, efficient, and helpful. It actually made going to the dentist a pleasant experience for me. I appreciate Dr. Baugham’s attention to detail. He definitely has the patients​’ best interest at heart. Thank you for putting a smile on my face. 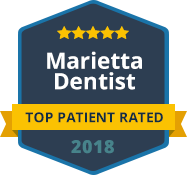 Consistently great care! Courteous, professional staff and modern facility. I wouldn’t normally give 5 stars for a dentist, as it’s not the most fun experience one can have. But I have had some horrific issues, mostly based on some lack of treatment. I’ve seen a couple of other dentists that made it seem like the sky is falling. Dr Ojibway put me at ease, with easier options and calmed my fears. I just felt at ease there. That’s the biggest compliment that I know how to give. Great people. 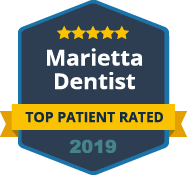 Dentists and staff are pleasant and keep you informed. I love the facility. Beautiful inside and out.